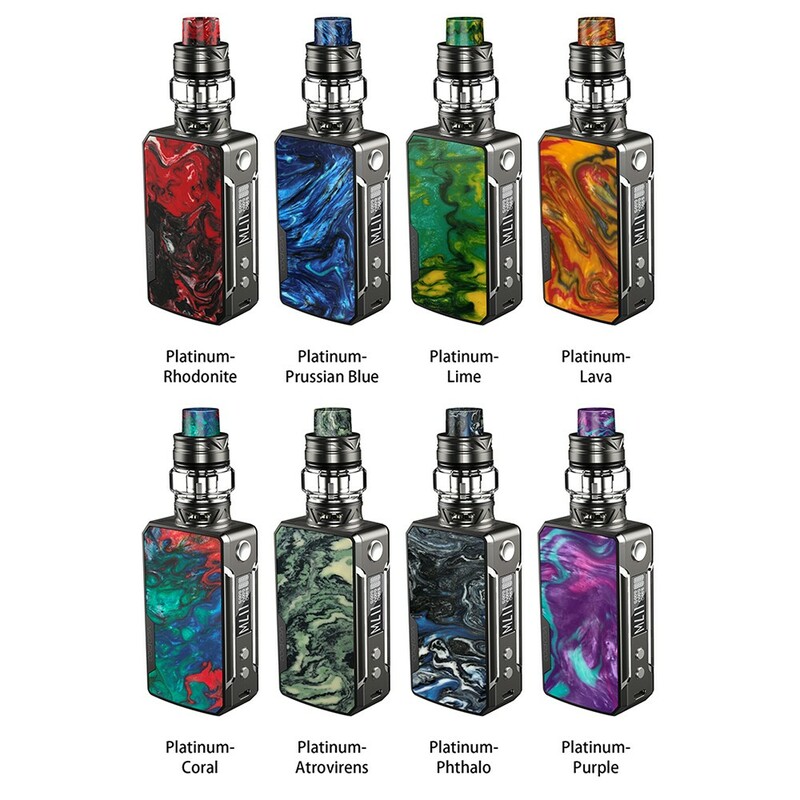 SMOK X-FORCE Kit implements a sleek, modernized AIO device with a 2000mAh rechargeable build-in battery and 7mL maximum juice capacity while utilizing a replaceable 0.3ohm X-Force Coil with traverse airflow design. 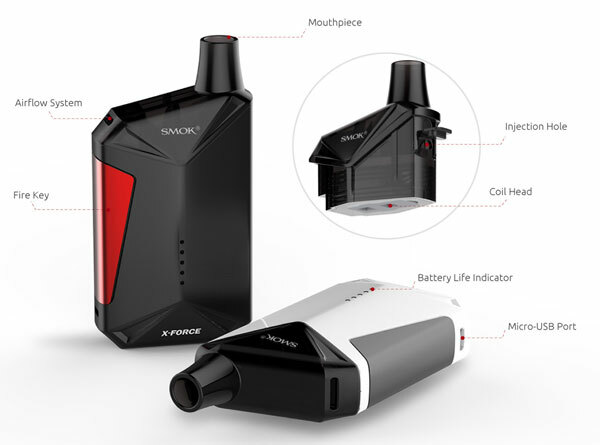 X-Force, a newly developed one-button activation device by SMOK, definitely will become your faithful vaping guard, which has a similar appearance to the box mod, yet compared with box mods, it's a relatively lightweight one. The SMOK X-FORCE is fully constructed with elaborately carved line in a plethora of vibrant color options that fits comfortably in-hand. 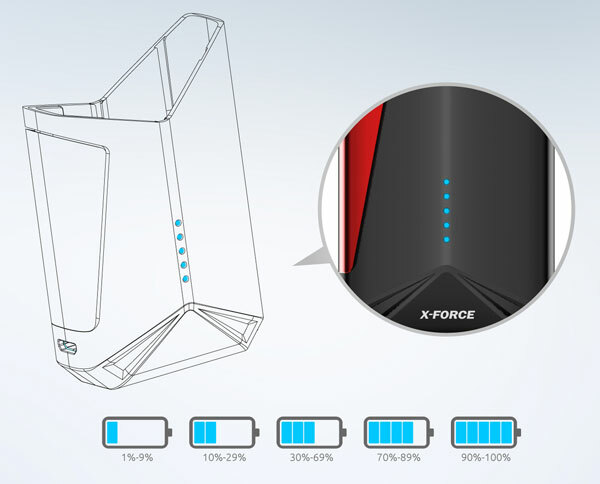 The X Force integrates an impressive 2000mAh rechargeable battery with convenient microUSB charging port and a series of safety protections. The device is controlled from a single stealth firing bar, with direct voltage based output and five LED battery indicator for instant feedback of the battery state. The X FORCE Tank features a refillable cartridge section with an impressive 7mL e-juice reservoir for an incredible range. The deployment of the 0.3ohm X-Force Coils providing great flavors and vapor production with its traverse airflow channels. The vertical airflow system and transverse coil have changed the pervious layout structure that air intake and coil layout are in the same direction, and structurally eliminated the problem of oil frying and oil leaking. Meanwhile, the airflow direction has been changed from line shape to serpentine shape, which can greatly increase the length of airflow, so that the vapors can be fully collected to produce larger cloud and denser flavor. The coil base uses insulated ceramic, making the coil's internal temperature rise faster and the atomization become more sufficient. The resistance of gold-plated brass electrode can be comparable with silver, which is much lower than that of aluminum alloy and iron alloy, and is able to transfer the battery energy to heating wires without losses. Thus, it's more power-saving and more durable with faster response. X-Force employs minimalist design that is indeed the new trend of modern fashion, allowing vapers to feel the purity of vaping. The simple color scheme maximizes the force of color which provides more coherent user experiences. 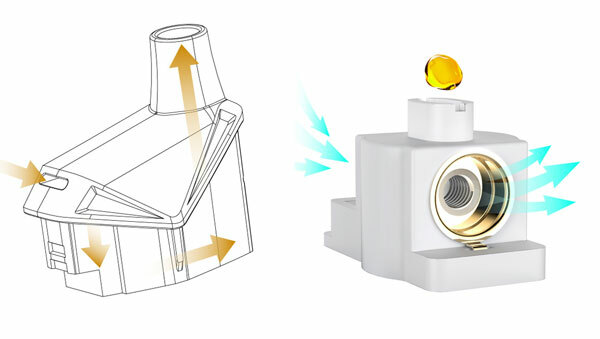 In addition, the slanted tank design is an artful handling, which is not only a good way to avoid the leakage problem, but for a better visual effect as well.